Billie Jean King and Louise Mirrer with objects from her archive, including a 1999 Fed Cup trophy, Adidas sneakers, wood tennis rackets, 2009 Presidential Medal of Freedom certificate, Essex Bowl, Philadelphia Freedoms dress, and Philadelphia Freedoms racket cover. 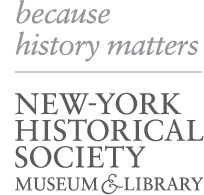 Image credit: Glenn Castellano, New-York Historical Society. 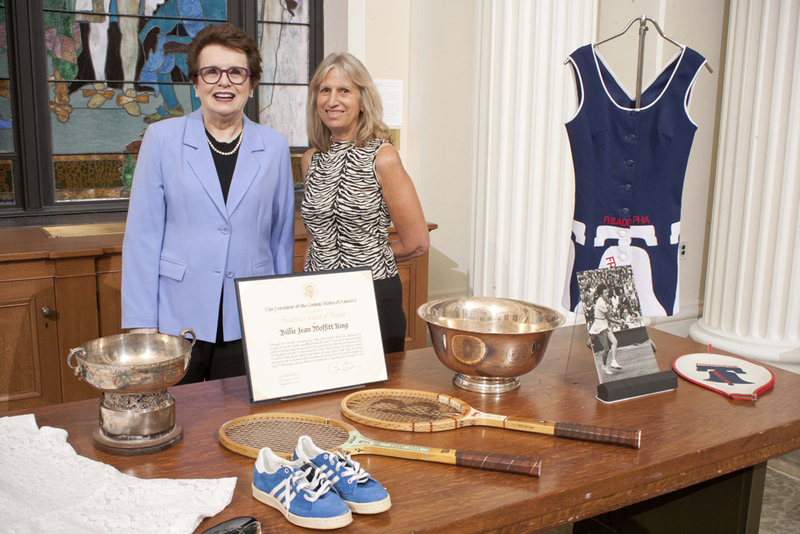 Billie Jean King and New-York Historical Society President and CEO Louise Mirrer examine objects donated by King to New-York Historical’s Center for Women’s History. 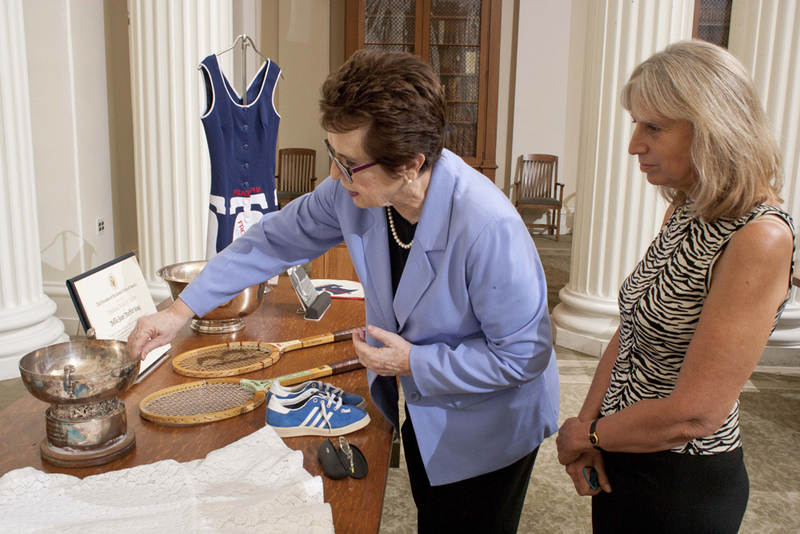 The objects include the lace dress she wore at the 1971 US Open in Forest Hills, Queens and at Wimbledon in 1972. 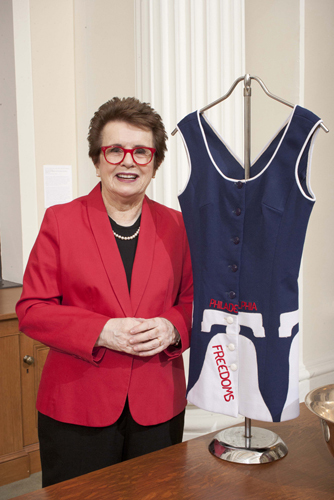 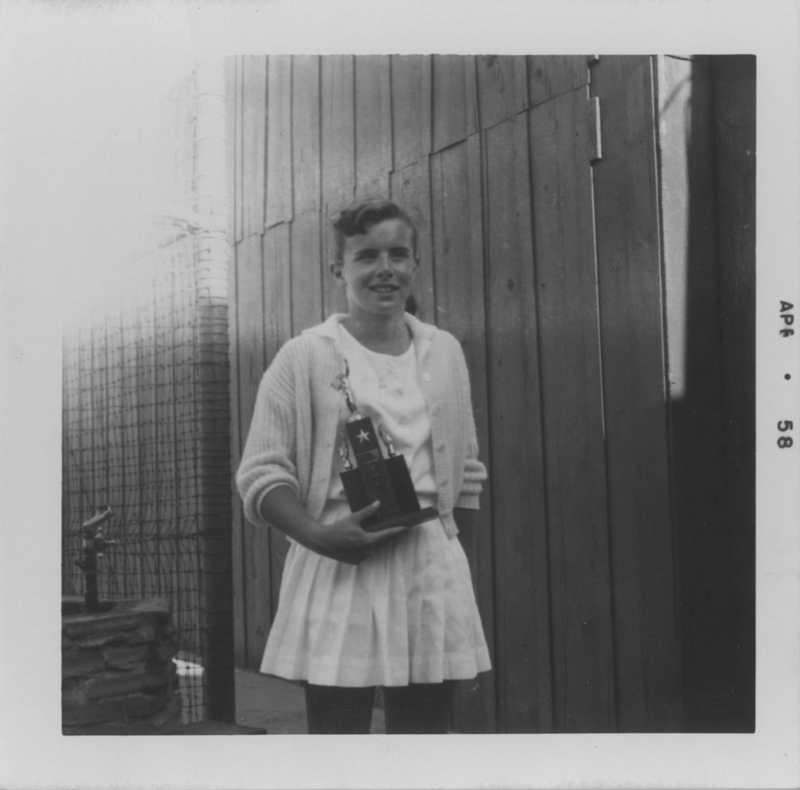 Billie Jean King with the Philadelphia Freedoms dress she wore during the inaugural season in 1974 when she was a member of the team. 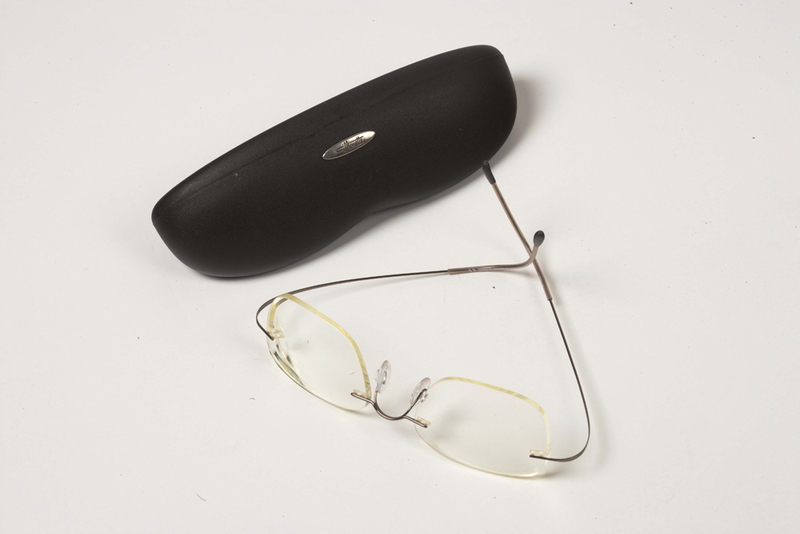 King helped name the team, whose name inspired Elton John’s song of the same name. 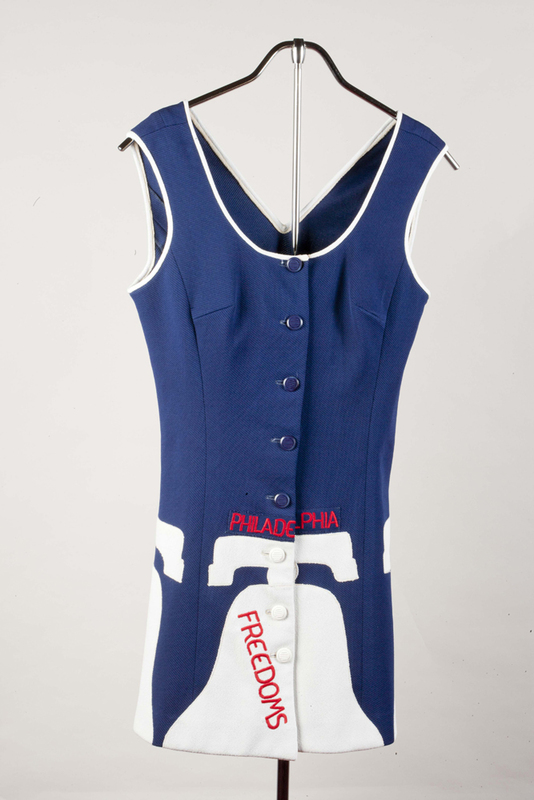 Philadelphia Freedoms dress worn by Billie Jean King during the team’s inaugural season in 1974. Billie Jean King-endorsed racket made by Wilson. Glasses worn by Billie Jean King in 2006, during the filming of the HBO documentary Billie Jean King: Portrait of a Pioneer.